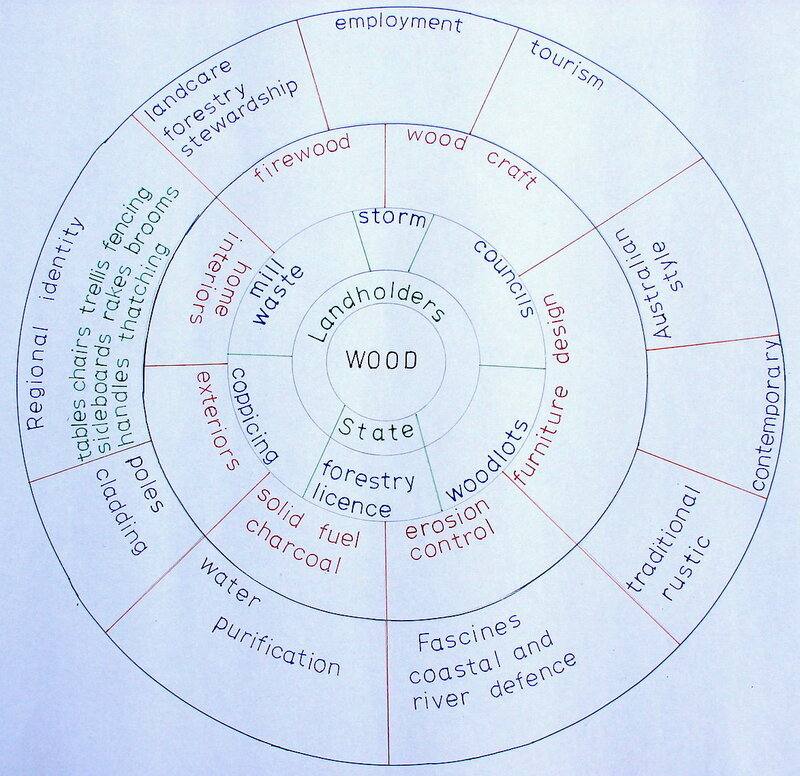 My rudimentary example of an industrial design wheel describes how people can access and select a sustainable business plan for a future in wood craft and industrial woodland businesses. 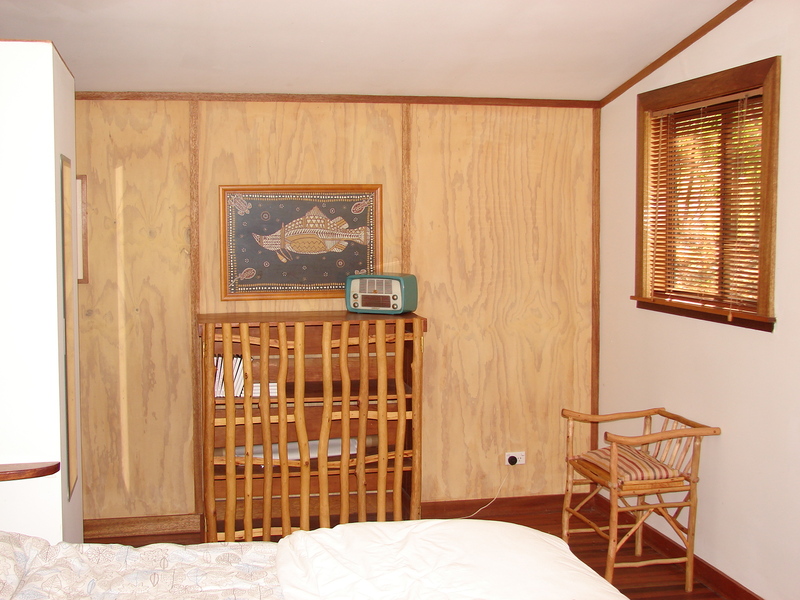 All of the crafts outlined are currently under represented in Australian rural areas. Fascine making businesses which generate substantial incomes in England and Europe for river and coastal defence works are not available in Australia. This small industry alone could employ hundreds of people and provide creative solutions for dune stabilisation and erosion problems in coastal areas. 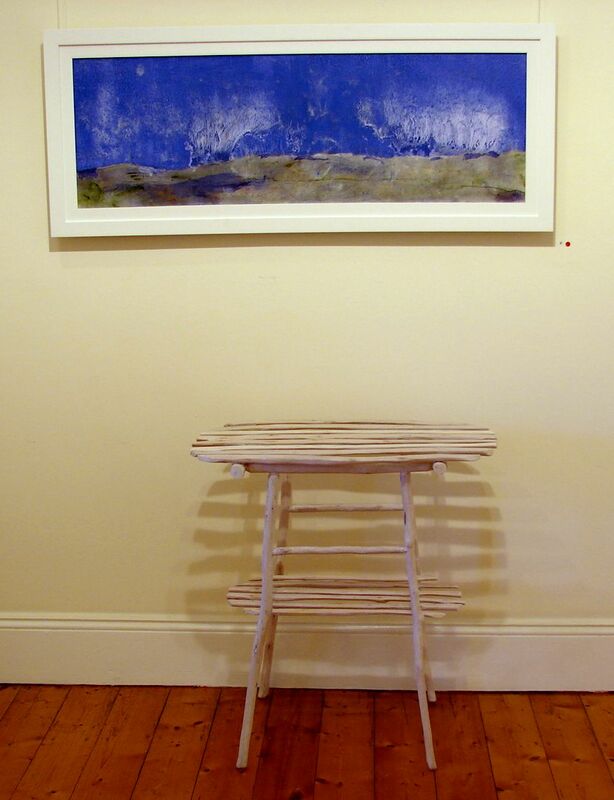 A lime washed hardwood stick table compliments the bold colours of the landscape painting by Highlands artist Graeme Doyle. 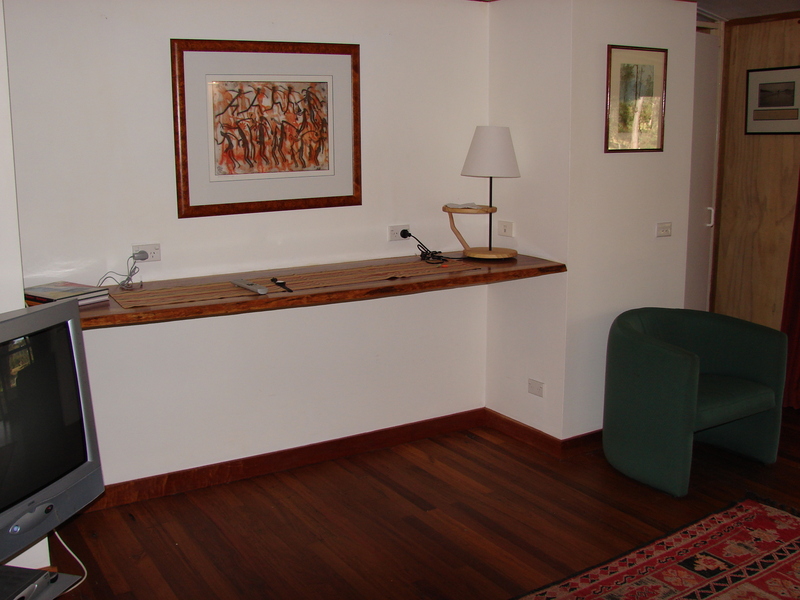 A floating slab of Australian hardwood carries a simple stick light in a country weekender. A simple rustic cabinet and stick chair hand-whittled from eucalypt branches compliment this country cabin.